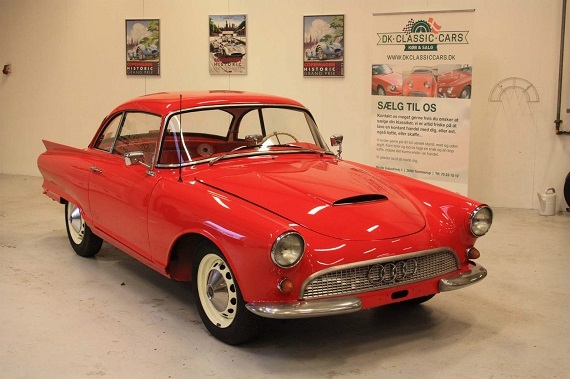 The world of Auto Union is full of paradox. That the company even came into existence is itself somewhat of a fluke, but a harsh economic situation in Germany in the 1930s led four mostly failing companies to band together in the hope that united, they might survive. Out of that union was born the image of the four rings that today are worn proudly by the last remnant, and the least successful, of the original four – Audi. If that isn’t strange, the history of how we got to that point certainly is. Only one of the companies was truly successful when they banded together, and they produced primarily motorcycles, not cars. Yet only one year after being founded, the fledgling company put its technical prowess up against the might of the most storied car company in the world – indeed, the inventors of the automobile – Daimler-Benz. And by “its” technical prowess, I mean the technical prowess of one Ferdinand Porsche, himself an outcast of sorts from several car companies. His design was both unorthodox and unusual, with a single-cam supercharged 16 cylinder engine mounted in the middle of the car. Mind you, this was a full 25 years before Cooper would make the “revolutionary” change that would be the accepted practice of all modern Formula One cars. With entirely new suspension designs and strange handling behaviors – never mind enough torque to jump start an industrial production line and tires that would consequently disintegrate immediately or fuel that was really just a high explosive in liquid form – the Auto Union Grand Prix cars shared nothing in common with the road-going models marketed by the company, who at the start of the 1930s didn’t even produce what could loosely be identified as a sports car.